What I’m about to review is something called a sequel, ladies and gentlemen. In other words, read The Demon King (and possibly my review of it), before you read this. Got it? 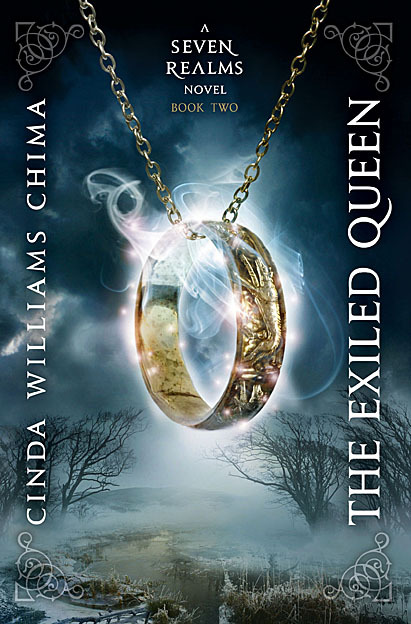 Well, anyways, The Exiled Queen is the second book in the Seven Realms series. We follow the path of Han “Cuffs” Alister, a descendant of the infamous Demon King, as he learns how to use his magic. Problem is, virtually the whole magic using society as a whole hates his guts, so he doesn’t have it easy. We also follow Princess Raisa as she flees her kingdom and her sorcery bound (and possibly moronic as well, its kinda hard to tell) mother, the queen, learns about the world, and generally prepares herself to deal with the upcoming wizard revolt that will destroy her life, her freedom, and possibly her world as she knows it. Dark secrets, betrayal, and intrigue await them as they struggle to find their way in the world, making this a book worth reading. Editor’s note: I’m working on this book right now. I’ll try and comment on my full book reaction later, but I have to say, Cinda Williams Chima doesn’t disappoint.